In a small bowl, combine dressing ingredients with wire whisk until well blended. In large bowl, mix salad ingredients except tortilla chips. Add dressing; toss until coated. Sprinkle with tortilla chips, if desired. 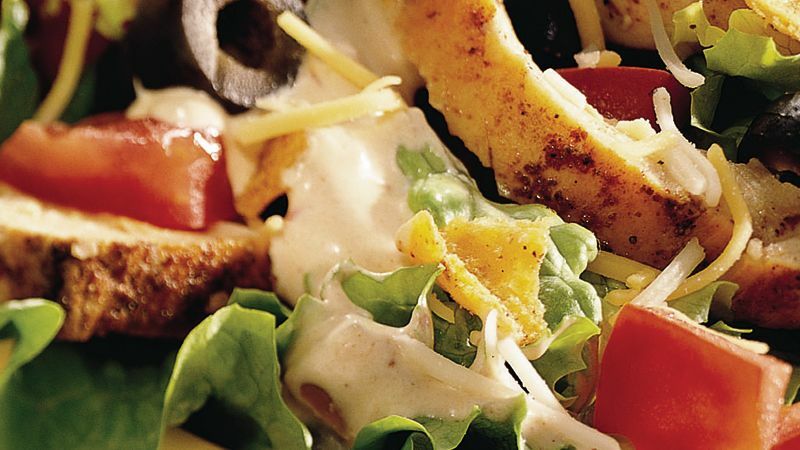 Kitchen Tip: Substitutions: Cheddar or Monterey Jack cheese can be used instead of the Mexican blend cheese. Cherry tomatoes, cut in half, can be used instead of quartered plum tomatoes.